Sonic just couldn't get right. 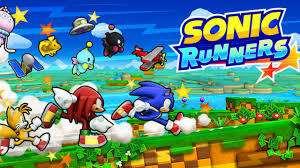 Sonic Runners is being taken offline only about a year after it first released for iOS and Android, shuttering this July 27. You may remember it as one of Sega's endless runners that attempted to mesh all of the trademark Sonic-isms into one game to satisfy that free-to-play itch. But it turns out the game actually wasn't all that good at all, and so it's being shut down. At least, that's what we can surmise about the game, anyway. Most likely, Sega determined the game just wasn't making enough money for it to remain part of its online roster. The Red Star Ring premium currency has been taken offline as well, and you can no longer make purchases with it. You've got about a month left if you still want to play Sonic Runners, so take advantage of the game's last few weeks of life left with our guide on how to have a great few runs. It's the least you can do for the fastest thing alive, after all.